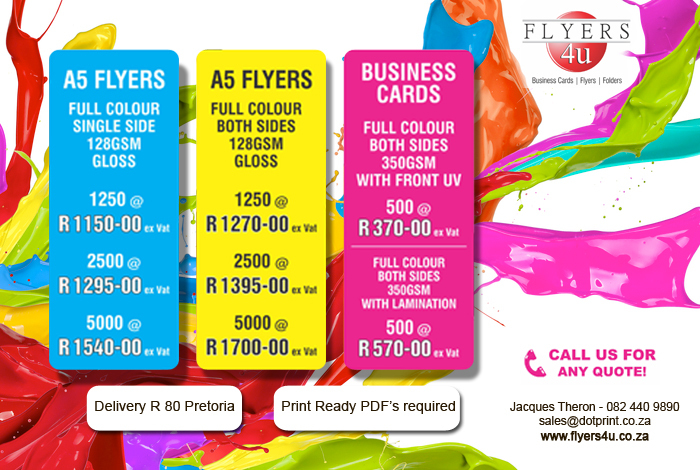 Dot Print & Flyers4U are two dynamic and energetic print companies based in Pretoria under one roof. We offer a wide range of print services to fulfill almost any printing requirements that our clients need. 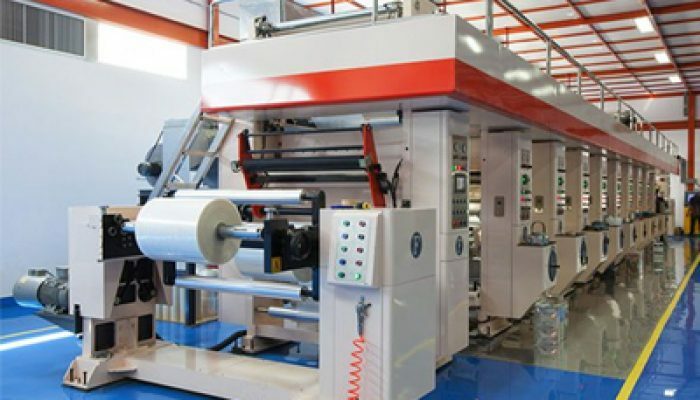 We use Heidelberg printing presses to deliver good quality high & low volume print runs. Our paper is of good standing quality & supplied locally & abroad. Our digital department produces high quality short runs with excellent finishing services like Annual Reports, booklets, Catalogue’s, Training manuals etc. We produce branding products on high quality wide format Mimaki & Roland printers. We are capable of printing up to 3 meters wide on banner or PVC products for signs, banners, Shark fins, A-frames etc. We deliver high quality products at a fast turnaround time to suite all your print or branding deadlines. 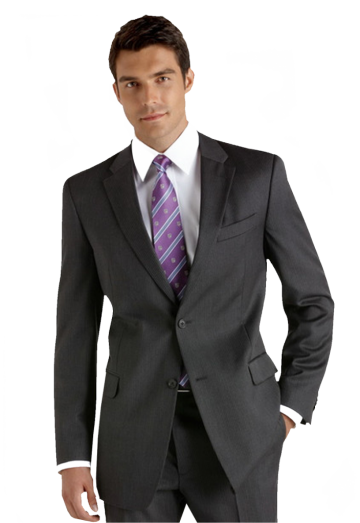 With our professional staff at your service, we are guaranteed to give you the service & product that you need. We help companies to manage the critical documents necessary to effectively run their operations to the best cost effective way in today’s business environment. We will provide clients the effective way to print all business stationary & to save costs on their annual expenditure on all stationary printing. Every rand save is a rand invested back into our employees that makes our companies stronger. We can print A1, A2, A3 & A4 size sheet sizes for all full colour products. Printing on all paper types & up to 400GSM. Showcase your most popular products and services and promote your business on any products such as Flyers, Catalogues, A4 Booklets, Posters & Corporate Folders. Everyone appreciates a notepad. 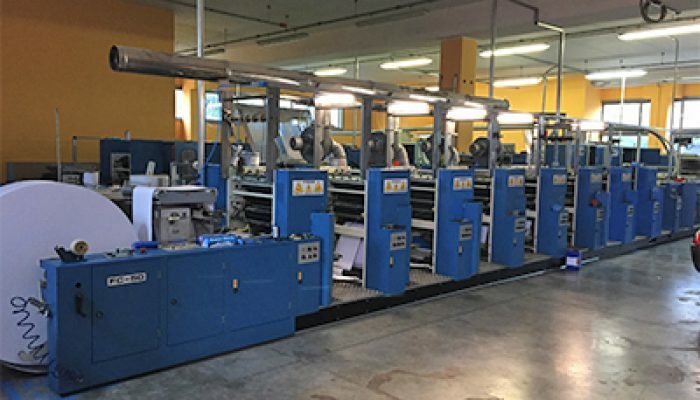 Continuous litho printing capabilities offer cost-effective solutions with excellent quality for small, medium and high volume print runs. With a variety of paper types and sizes. We offer products like Laser Payslips, Snap Sets, Tax Invoices, Delivery notes, Statements, Job Tickets ect on reels & finishing it to packs & wrapped into boxes. 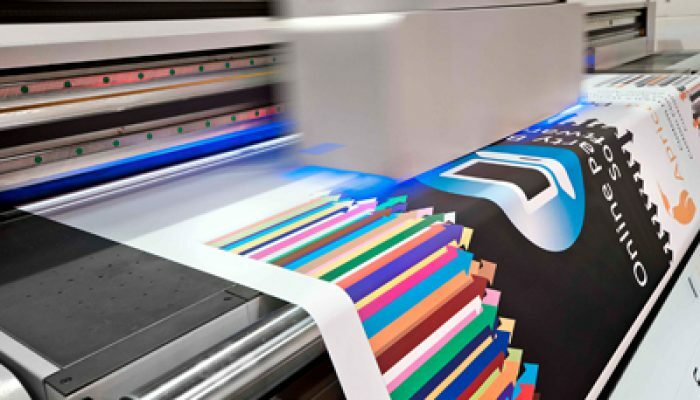 Digital printing is a cost-effective solution for small to medium print runs and print-on-demand applications. It also offers flexibility for quick turnaround times, allowing us to print what you need when you need it. We offer a comprehensive range of custom printed envelopes in a wide variety of stocks, styles and sizes. 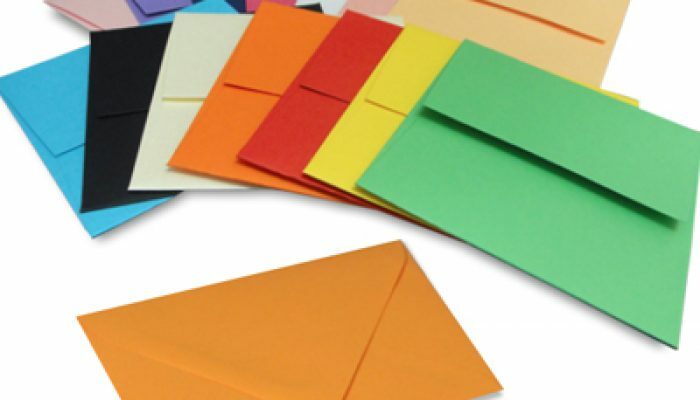 Envelopes can be custom-printed up to 4 colours on the outside (front, back and flap) and 1-colour on the inside, or over-printed in up to 4 colours on the front, with a 1-colour print on the flap.